I basically used Julie's sketch. I love pink and gold together, so that was my color scheme. I am still thrilled with being able to write "sending hugs" anytime I want, so that was my sentiment, and I used my only set of W&W flowers. It goes without saying that at the top of my wishlist are the new In Bloom flower sets! On Saturday, the Hero Arts Flickr group had another of our Scrambles, hosted by Cecilia. She asked that we make a vintage design. I remembered an older Hero Arts cling stamp called Circle Doily and embossed it in white over a newspaper print from a My Mind's Eye paper pad long discontinued, then stamped a sentiment and added some Prima Flowers. 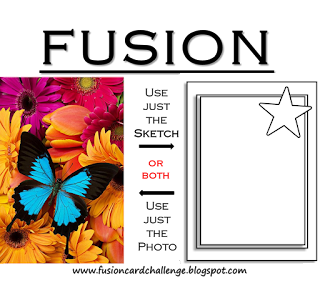 It was an easy design to execute in our given 90 minutes, and I was pleased with the result, but the more I looked at it, I knew it would end up being one of those cards that have to be physically handed to someone......those flowers make it impossible to mail. So I took them off and replaced them with some stamped flowers. This one kind of looks like an old-fasioned tussie-mussie that Victorian ladies carried, really just a little bouquet of flowers wrapped in lace. Which do you prefer? Thanks for stopping by! I had a good look at Jocelyn's blog, and noticed several things: that she uses lots of white space and that she often dry-embosses her backing panel. I also noticed that she uses bits of doilies on her projects, which I really like and decided to adopt. So I decided to choose a card of hers to CASE and put my own spin on it, as Taheerah suggests. I found a card HERE that I really liked: and went about finding my own elements to CASE that design. I knew I'd use a bit of a paper doily, and I decided to emboss my background in a woodgrain pattern (Tim Holtz embossing folder). I like the idea of rough and dainty against each other. Then I went looking for a flower (Hero Arts Lauderdale Floral) large enough and with enough detail so that I could heat emboss it on vellum using an aqua embossing powder. Next I made my own little polaroid frame and covered a corner with some washi to bring in a bit more color and make it stand out from all the whiteness. I attached my vellum flower and stamped my Winnie & Walter sentiment (Big, Bold Friends), and then assembled everything and popped the frame up on adhesive squares. Lots of Jocelyn's designs show splatters of paint on the background at this point, but I wasn't that brave, so I added my own little bit of color with some tiny aqua pearls and a bigger one in the center of the flower. And lastly I die-cut some leaves (Essentials by Ellen Bold Blossoms) and added them to the mix. And to finish I mounted the whole panel on a backing of bias-striped design paper (Echo Park's Bundle of Joy Boy Dots & Stripes). This was a very fun exercise and a good stretch for me - thank you Taheerah, and thank you, Jocelyn, for your inspiration! I guess I'd put this into the Clean & Layered category. It's Friday! I hope you have a great weekend! 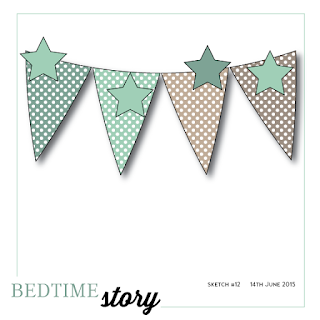 Today I have a couple of cards I made using the Simon Says Stamp July Card Kit. Everything on my cards except the card bases came from the kit. 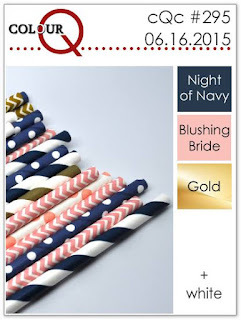 If you're into anything nautical, this is the one for you! Before we get started, I wanted to make sure you've seen that Gayatri Murali has been chosen to be our newest team member! Please give her a warm welcome! 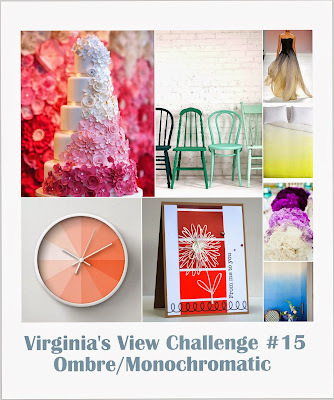 As you know, this is the time of the month when we have your favorite Anything Goes challenge! The Design Team are using Simon Says Stamp exclusive products, and we'd love you to do the same, though that isn't a requirement to play! Starting with a panel of watercolor paper, I repeatedly stamped one of the flowers, changing inks as I covered the panel. I also used a leaf from that set. Next I spritzed my panel with water until the colors began to soften and run, then I blotted it with a paper towel. After letting it dry naturally I went back in and stamped the little dots in the centers of the flowers. That panel was trimmed to this wonky shape, trimmed in gold foil cardstock, and along with my gold-embossed sentiment on vellum, was attached to my card base. I thought this gold butterfly added some pretty dimension to the whole. I recently saw a small garden planted in purples and peaches, and used that as my inspiration. For this card I stamped the outline flowers on a watercolor cardstock panel, then went back in with my Spectrum Aqua markers and roughly colored them in. I also used a green marker to ink to a solid leaf here and there on my panel. Then, as above, I really soaked the panel with my spritzer, and blotted with a paper towel when I thought the colors had softened and run enough to my liking. After a thorough drying, I embossed my sentiment right over the top of the panel, then framed it up with a matching purple cardstock. I loved the colors so much from the Colour Me challenge this week that I had another play with them. My favorite color has always been this particular shade of blue - call it sky blue, true blue, Hero Arts calls it Cornflower Blue, and it is the ONLY ink I have found that doesn't have that touch of green that seems to be in vogue now for many years. Don't get me wrong, I love aqua, teal, pool, turquoise, too, but this goes back to that country blue that I have always been drawn to. So when Hero Arts current challenge has a category labeled "Favorite Color" as part of its latest challenge, I decided to start my card with their Cornflower Blue ink. And I added in an old favorite and a new favorite product of theirs. Pearls are a favorite of mine, too, so they got thrown into the mix. supplies: white cardstock, blue and green foiled cardstock from a DCWV pad, Hero Arts Edged Fabric with Flowers, from 2011, stamped in Cornflower Blue ink, Hero Arts flower and leaf dies from their Scallop Frame frame cuts die set, and their Hello Stamp & Cut set, (sentiment stamped in Memento Luxe Danube Blue, and heat embossed), white pearls. When I went looking through my stash for a cardstock to match this cornflower blue, I couldn't find anything. It seems that "they" have made this color disappear! Then I looked through a pad of foiled cardstock, and this royal blue worked for me. Because the light is catching the foils differently on my photo above, I wanted to include some closer shots of those details. The true color of that blue shows up more in the flowers - I bent the petals up slightly, so they are reflecting the light better. As you can see, I used a stylus to add some veining to the leaves, and also added pearls to the centers of my flowers. And because of all the blue, "I miss you" seemed the appropriate sentiment. Here's the Tic Tac Toe board that we are using for this month's Hero Arts challenge. 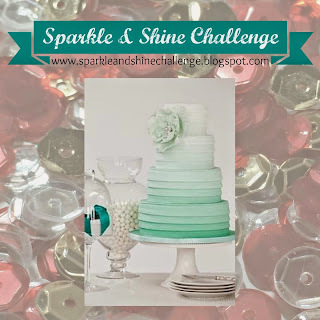 I used the 3rd column: heat embossing, die-cutting, and my favorite color. I tried really hard to do something other than flowers for the current Sparkle & Shine challenge, and settled on some sweet little birds. It's a dreary day here, but at least it's not broiling hot. We have tickets to see a Drum Corps performance tonight - keeping our fingers crossed that the rains go away by then! When I saw the Fusion inspiration this week, I jumped to play so that I could use this fun Darice embossing folder! 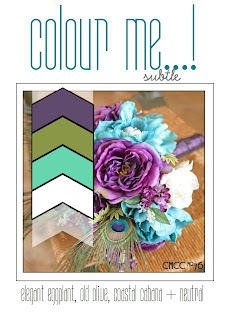 I was visiting Lisa's blog and saw her card for the Colour Q challenge, which I don't think I've ever played before, and fell in love with these colors! Fabulous combination, aren't they? Thanks for coming by today! Happy Wednesday! 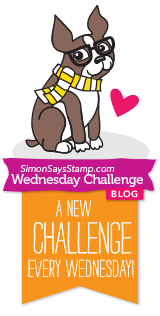 We have a new challenge for you at the Simon Says Stamp Wednesday blog! This week we want you to choose your favorite technique or product and show us what you like to do with it! My teamies and I are all using products from Ranger this week. Using my mini blending tool and 3 colors of distress ink, I colored the dots through the stencil, then trimmed my panel and added it, along with a strip of washi tape, to my card front. I wanted something a little different than my usual stamped flowers, so I unearthed these (I'm sorry, they're now out of stock) resist canvas flowers, and used the same 3 inks to color them, then centered each with brads and popped them above the card for dimension. My sentiment is a beautiful die from Wplus9. I did the same thing with this Tweed stencil, using my favorite summery distress ink colors. I then added some texture paste on top. When that was dry, I smooshed some marmalade distress ink on my acrylic block, spritzed it with water, and soaked a fine paint brush in the color, then splattered on some droplets across the whole panel. I added my hollyhocks one sprig at a time, securing them only at the bottom, then popped my sentiment above them as a kind of planter, and finished with a double twine bow. to the fabulous Simon Says Stamp Superstore for 1 lucky random winner! I'm in a blue mood today, so I pulled out my new Watercolor Anemones and stamped them with my favorite Simon Hydrangea ink. The original sketch had pendants, but I thought: "why not a flower garland?" So I made a VERY CAS design, just embossing the background in a trellis design, adding the fussy-cut flowers, and some tiny flower sequins. Waltzing Mouse ladies, could I have combined both my cards into 1 blog post, or do they need to be separated? 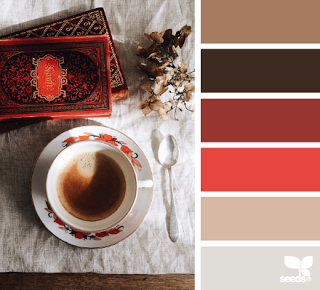 Isn't it funny that I, who am drawn to color, chose this one, but it was fun to work with these shades of brown, with a little splash of red! Now that I've found them, I hope to play again! They DO Make me Smile! Over the weekend I went out and cut 2 of my favorite roses. These are actually anemones, but they can kind of look like simple roses, too. Most of these inks are also Wplus9 colors:Little Piggy and Sweet Nectar for the pink, Wild Mango accents for the yellow. Others used: Ranger's Lemon Twist for the yellow base, Hero Arts Orange Soda for the flower centers, and mowed lawn distress ink for the leaves. I think they are pretty spot on, don't you think? I needed a Father's Day card for our youngest son, the father of our adorable grandchildren, and used some classic Hero Arts stamps along with a new Stamp & Cut die. I'd like to enter this into Hero Arts Tic Tac Toe challenge for June, choosing the right column: heat embossing, die cutting, and my favorite color, blue. I've seen a couple of challenges that ask for an ombre design, so I stamped some more of my Altenew Painted Flowers using Simon and Hero Arts shades of inks ranging from mint to pool, then fussy cut them and assembled them against an embossed woodgrain background. 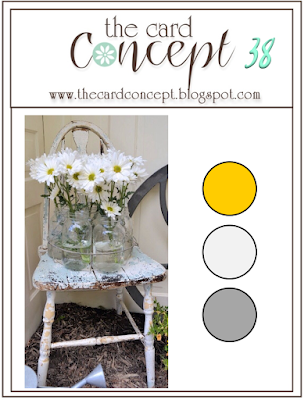 I have 2 posts today - to see my Guest Designer card for Craft Stamper Magazine, please scroll down a post, or click HERE. Thanks! Today is the day I can finally share some cards using some of the new releases from Simon's Color of Fun release! I think this is one of their best releases; it includes TWELVE scrumptious new colors of ink, and beautiful new stamp sets and dies! Heidi generously sent the Wednesday Blog team some of the new goodies, and here are the results of my playing. This scribble flower set called Many Thanks was designed by WPlus9, and is so much fun to play with! I've come to the conclusion that there is no right or wrong way to use these stamps - just pick a pleasing color combination and stamp away! The new colors I received were Melon and Spring Rain, and I mixed them with my old favorites Hydrangea and Green Apple today. I used those colors for the main outlines of the flowers and the leaves, and then found some coordinating inks from my own ink collection that were a bit paler to fill in the colors on each flower. I inlaid the Birthday Circle into my stencilled background, and in so doing, I was able to rotate that inner circle for a little more interest. So what do you think? Which are your favorites from this new release? Mine are the Big Scripty Greetings and the Game Tile Letters stamp sets and some more of those luscious inks: Hollyhock, Wisteria, Blue Jay, and Jelly Bean! Don't forget that there's a fantastic Color of Fun Blog Hop going on starting today over at the Simon Says Stamp store blog - wait until you see the amazing inspiration there! Guest Designing at Craft Stamper! 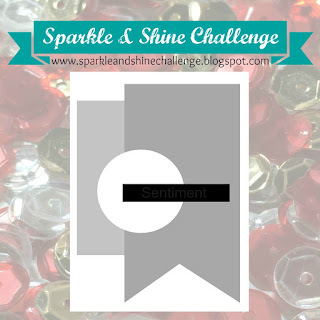 Simon Says Stamp Wednesday Challenge DT Call! !